Day three of the Great Monday Give is hosted by the one and only, ME! Because audio books have been such a tremendous part of my son's life (he listens to at least an hour a day and three plus on the weekends--right now all Rick Riordan, all the time), I've decided to celebrate this holiday season by buying one of you awesome readers the very first audio book he fell in love with, The One and Only Shrek: Plus Five Other Stories. Nothing beats Stanley Tucci and Meryl Streep bringing to life the most classic William Steig tales. There's Shrek (of course), Brave Irene, Spinky Sulks, Dr. De Soto, The Amazing Bone, and Caleb & Kate. All you have to do to win this audio CD of awesome is comment on this post between now and midnight (CT), Sunday, December 9. A winner will be selected at random and announced the next morning. Five days. Five prizes. Five chances to win. See you tomorrow! We're big fans of the Roald Dahl audio books, though it's possible that Stuart Little is my kids' favorite, too. My daughter loves audio books as well! She would be so excited about this! Thanks for the giveaway! We've only just started listening to audio books. This set of stories sounds wonderful! You're coming up with some AWESOME stuff! Crossing fingers yet again. I almost bought this loads of times, I'd love it. I'd love to have an audio book here for my granddaughter to listen to when she comes over. Ooh, we love audio books and William Stieg! Thanks for the chance! We love any thing by William Steig. This sounds wonderful! My kiddos would love it! 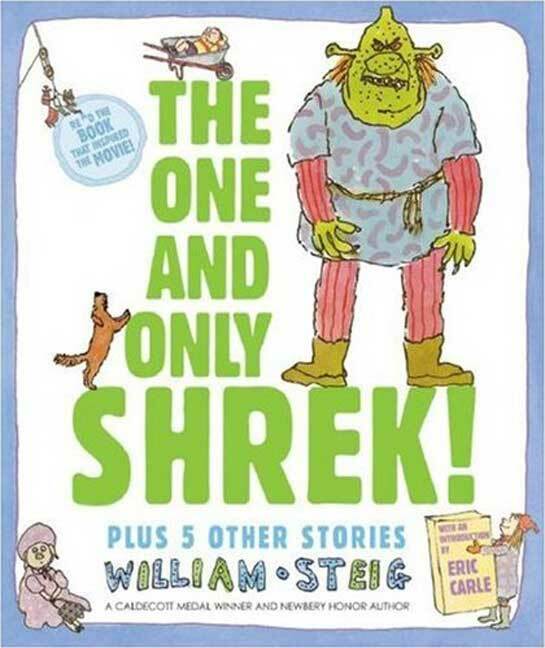 William Steig is a good continuation of these authors. Love to discover this collection! Williazm Steig appropriately continues this theme. Wouyld love this audio collection! William Steig is a good continuation of this themed week. Would enjoy this audio collection wit my son. Our three kids could use another audio book for the long car ride (9 hours) to visit my parents during the holidays. Audio books help make the hours go a little quicker. My son LOVES audio books. We'd love to win. Just introduced my daughter to audio books this past week. She'd love this. I need to try more audio books with my kids. This giveaway week just keeps getting better! Thanks. It would be fun to use this for an art project idea. Thanks for the giveaway! This sounds GREAT!! Meryl Streep and Stanley Tucci must be wonderful in something like this! Would love to give this one to my 4-year-old cousin! This sounds so wonderful! I know the kids would love to listen to this. so fun. thanks for all the wonderful giveaways! In my house, we're big on these audiobooks for our kids. http://www.twirlygirlshop.com/moral-stories-for-kids Maybe it's because they're funny, or maybe it's because they're free. LOL!